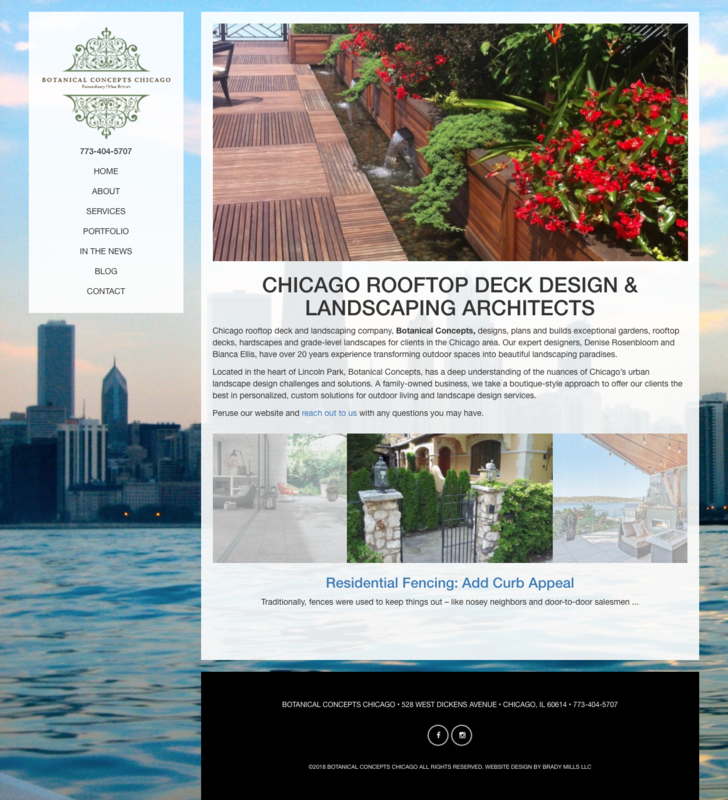 Botanical Concepts Chicago is a woman-owned landscaping and green rooftop design company in Chicago, IL. This awesome mother-daughter team creates some of the most beautiful rooftop gardens and grade level landscaping designs in Chicago. 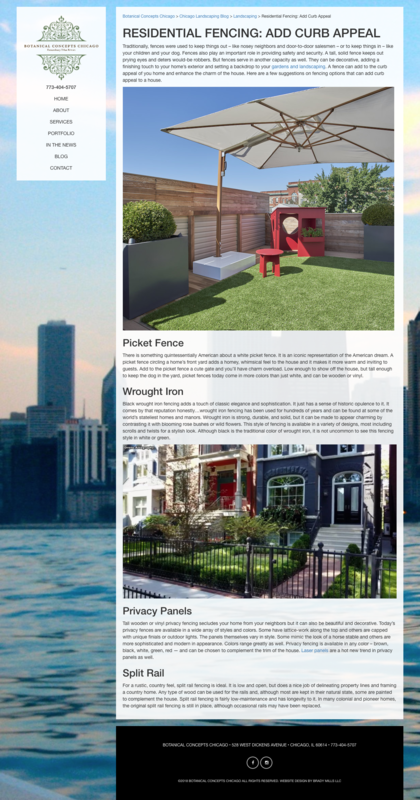 We have been working with Denise and her lovely daughter Bianca for many years and have seen them through several redesigns of their website and provide online marketing and blog writing services for the Chicago landscaping company. 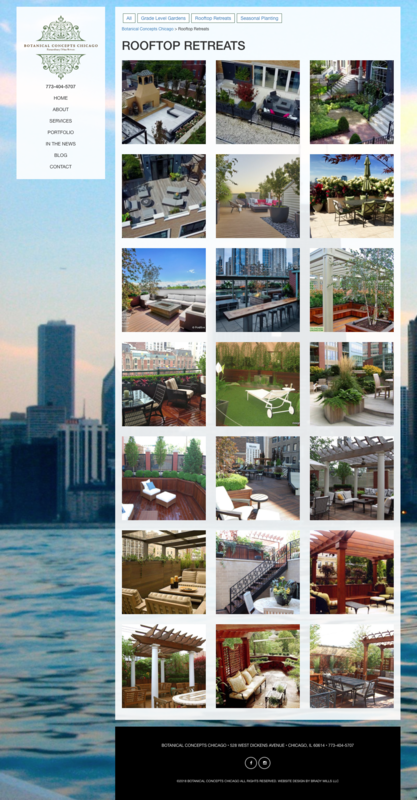 The Botanical Concepts Chicago homepage features a large banner image that showcases some of the many beautiful landscaping projects designed by the company and offers a brief introduction to services. We maintain the blog writing services posting regular blogs and the most recent display on the homepage. The portfolio is sortable to showcase the various types of landscaping services offered at Botanical Concepts, including grade level gardens, green roof design and seasonal planting. We maintain the blog on the site, and our team of writers help us ensure that we post consistently throughout the month. Once our SEO team receives each blog post, they are edited and search optimized for higher rankings on Google. We also syndicate these posts to social media and Google Business Manager (so the posts show up with their business listing on Google search).